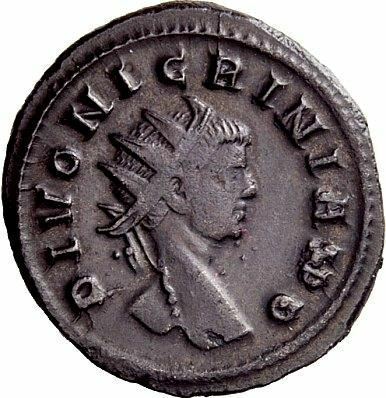 Nigrinian - Caesar of Imperium Romanum from ? to 285 AD? Marcus Aurelius Nigrinianus was probably the son of Roman Emperor Carinus and an heir to the throne, and grandson of the Roman Emperor Carus who founded his royal family. Not much is known about him. It has been proposed that he was actually the son of Aurelia Paulina, Carinus' sister and thus the Emperor's nephew. Nigrinian died in infancy in late 284 or early 285. After his death he was given divine status.